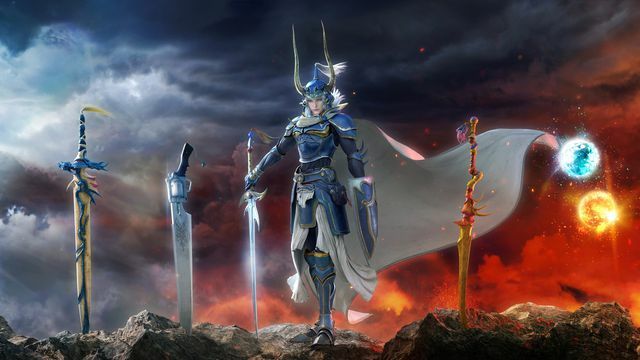 Dissidia Final Fantasy, the fighting game from Square Enix and Team Ninja, is coming to PlayStation 4 next year, Square Enix announced today. Dissidia Final Fantasy NT will feature more than 20 playable Final Fantasy heroes and villains, including Final Fantasy 15 protagonist Noctis, in team-based brawls. As shown in the video below. Dissidia Final Fantasy NT is an updated port of a 2015 arcade game that was released only in Japan. Developed by Team Ninja, the arcade version of Dissidia Final Fantasy featured Final Fantasy characters like Cloud Strife, Sephiroth, Tidus, Lightning, Terra Branford and Squall in 3v3 battles. Players can also bring iconic Final Fantasy summons like Ifrit, Shiva, Odin and Ramuh into battles. Square Enix has longed discussed the possibility of bringing Dissidia Final Fantasy to PS4 and adding additional playable characters, like Noctis, to the game. According to a listing for Dissidia Final Fantasy NT on Amazon, the PS4 release will feature “an all-new Final Fantasy story, written by writer Kazushige Nojima,” whose credits include the Final Fantasy 7 Remake, Final Fantasy 15 and Kingdom Hearts.